​Mothers across the world would have felt Cristiano Ronaldo's mum's pain during the course of last weekend, with the Los Blancos star's matriarch unable to watch her own flesh and blood take Real Madrid's crucial penalty during Saturday's La Liga clash with Malaga. 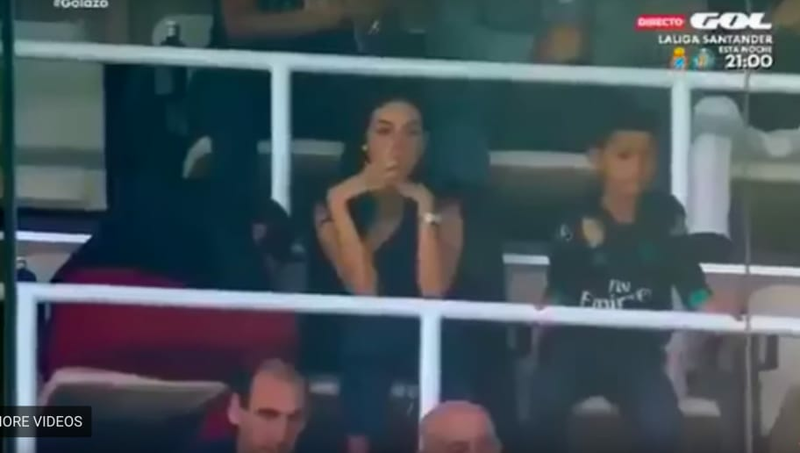 After Los Blancos' nail-biting 3-2 win over Boquerones at Santiago Bernabeu last weekend, footage emerged on YouTube showing Mrs Ronaldo hiding for cover in the stands of the Spanish capital, as Ronaldo's girlfriend Georgina Rodriguez provided the eyes for the anguish-stricken mother. As the 32-year-old's mother, Maria, dives for the cover of her seat in the stadium, Rodriguez watched on as her other half saw his 76-minute penalty initially saved by Malaga stopper Roberto Jimenez. With the hosts having won just two of their last five outings in all competitions, the under-fire Portuguese's miss looked set to see the Real Madrid lose further ground to runaway leaders Barcelona. All was not lost, however, as after Luka Modric was felled by visiting defender Lucas Hernandez inside the penalty area, Ronaldo's effort rebounded back to him and he coolly slotted home to the relief of the watching Madristas and indeed his own mum - as she is tapped comfortingly on the hip by Cristiano's partner Georgina. With Ronaldo scoring just his second league goal of the campaign, there was even better news on Sunday, after La Blaugrana were held 1-1 at the Mestalla by Valencia, with Los Che themselves now just four points adrift of the top of the table. Madrid are a further three back in fourth spot, tied with city rivals Atletico on 27 points. There may be more moments of worry for the Ronaldo clan to endure this season and beyond, but this weekend at least there was an eventual happy ending. For both son, and doting mother.